This is the mission of the Prisoners’ Education Trust. 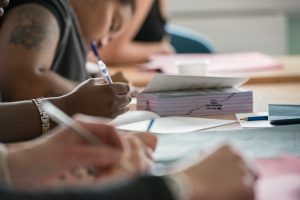 Since 1989 we’ve funded distance learning courses and art materials for prisoners in England and Wales, helping nearly 40,000 prison learners since our inception. As Academic Networks Officer I focus on access to higher education and manage the PUPiL (Prison-University Partnerships in Learning) network , which brings together practitioners and participants of collaborative learning projects. On Friday 30thNovember, as part of the World Access to HE Day celebrations, we will be hosting an eventto spread the word about the impact of higher education in prison and what universities can do to improve access. Having worked as an Outreach Officer in UK HE, I am well aware of the barriers to higher education that potential students can face – and of the demographics less likely to be represented at university. I have also seen first hand the value of a diverse student population for everyone at the institution, from admissions staff to other students. Universities make commitments to equality and diversity. They write access agreements each year outlining their work towards fairer access and support, and improved student experience for students of all backgrounds. But until fairly recently, people with convictions were not considered. There are over 90,000 prisoners in the UK – a number that has risen by 77% in the last 30 years. Within that prison population, the ‘underrepresented groups’ in higher education, as defined by the Office for Students, are very well represented. Less than 1% of all children in England are in care, but they make up around two-fifths of children in secure training centres (38%) and young offender institutions (42%). Over a quarter (26%) of the prison population, 21,992 people, are from a minority ethnic group (compared to 14% of the general population). I had no awareness and no-one could tell me – no-one in my social life, no-one in my family life, could tell me what these processes were because they didn’t know either. This is true of people who don’t have a family background of people going into university, but it’s just compounded and compounded by layers of unfamiliarity with the kind of systems that exist in universities or within institutions. And those can alienate people. Dr Jason Warr, Lecturer in Criminology who served a life sentence before going to university. Needless to say, higher education can be difficult to access in prison and perhaps even harder post-release. Until this summer, UCAS required applicants to disclose any unspent conviction – and each university then decided for itself how it was going to use that information. This meant that if you disclosed a conviction (which could have been many years before, for something totally unrelated to what you want to study), you would not know how that would affect your chances of admission, or who would see the information, or who it might be shared with in the future. Universities had no legal obligation to publish how they used the data, and so we simply did not know to what extent disclosing a conviction affected your chance to study. After campaigning from PET, the Longford Trust and Unlock, UCAS announced earlier this year that they will no longer require disclosure, and new GDPR regulations mean that if a university does want to ask for the information, they must publish a policy on how the data will be used. We hope this will encourage more transparency around admissions practice and will get universities thinking about what fair access really looks like for the hundreds of thousands of people with unspent convictions. So what can widening access professionals do to help? We encourage outreach and widening participation teams to think about people with convictions as part of their strategies, and to find out what the admissions process is at their university. 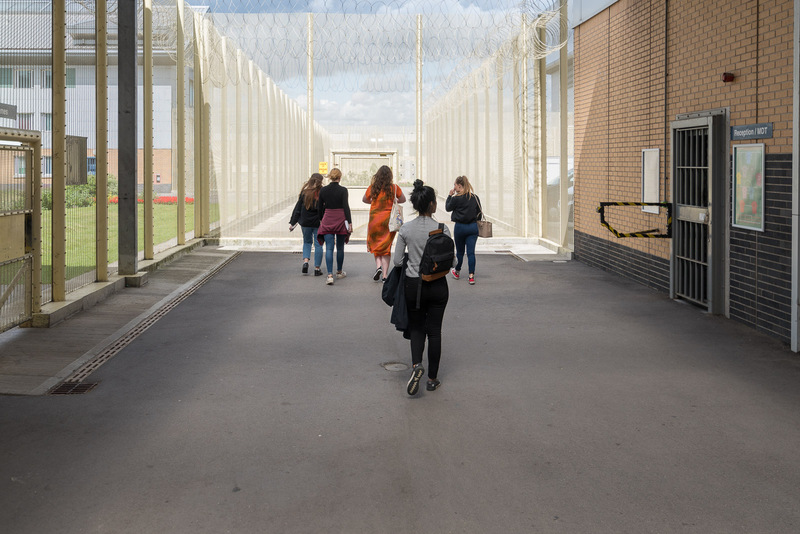 The University of Westminster’s Outreach team, for example, wrote incarcerated learners into their strategy and Westminster has since issued new guidancefor people with convictions that does not require disclosure. There are so many brilliant outreach activities happening to widen access, and many, with a little thought, could be translated into a prison setting. One way that universities have engaged with prisoners is in a prison-university partnership. Often this involves teaching a module to a cohort of university students and prison learners alongside each other. For example, a partnership between HMP Bronzefield and Royal Holloway University saw a module delivered called ‘Pioneering Women;’ Greenwich University and HMP Downview partnered to deliver the module‘Inside and Outside Perspectives on Criminology and Criminal Justice’. Where these exist they are usually lead by academics, but this could be a great opportunity for outreach teams to get involved and use some of their specialist skills to engage prison learners with higher education. To find out more about widening participation for people with convictions and the potential of prison-university partnerships please book a place at our event, or if you can’t make that sign upto the PUPiLnewsletter.